Looking for a new set of night vision binoculars can be a tedious task. When browsing online, the amount of choices available can seem endless. Fortunately, we have spent the better part of last year testing a large variety of night vision devices to narrow it down to the 12 best night vision goggles. In this Firefield Tracker 1×24 Night Vision Goggle Binoculars review, we are going to give you all the info you need to decide if this night vision device is for you. The Firefield Tracker 1×24 Night Vision Goggles (Click here to check price on Amazon) are the perfect NVD for incredibly detailed observation even in the darkest of conditions. We were excited to test these out since we had such a blast testing the Firefield Nightfall 2 5×50. The Firefield Tracker 1×24 includes a head gear accessory that transforms these binoculars into a flip-up, adjustable hands-free device. The Tracker 1×24 gives you crystal clear viewing in total darkness by utilizing it’s built-in IR infrared illuminator. When the IR illuminator is in use it emits a pulsing frequency that aids in reducing battery draining and prolonging your use. We found that the extra battery life was extremely significant and would be useful in practical use. The Firefield tracker was ergonomically designed rubberized body is incredibly lightweight making it a versatile piece of technology. One of the things we found with this model is that it utilizes a revolutionary Eclipse Lens Cover System which uses flip-up covers that can be easily clipped back against the body of the binoculars and rotated out of the user’s viewing area while eliminating lens cap hassles. Another thing that we liked about these Firefield night vision binoculars is that the included head harness mount works well, and is comfortable to wear for 20+ minutes while walking a trail or whatever activity you might be trying to do. Uncomfortable head mounts can ruin the whole experience and that was not the case with this model. The clarity on these are amazing for a generation 1 night vision device. Focus Range (yd): 1 to Inf. 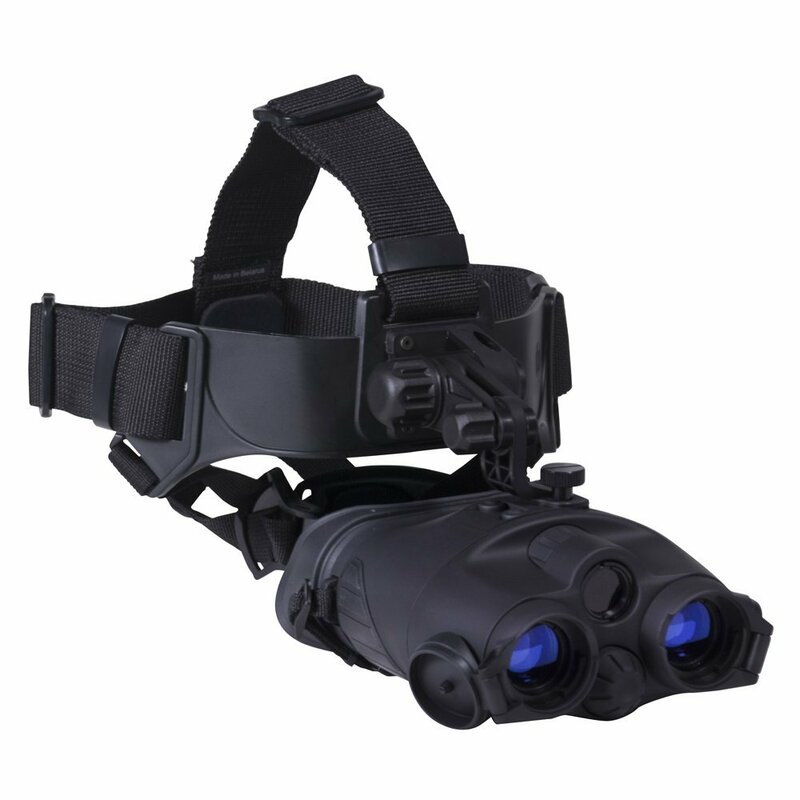 Q: What is the maximum distance you can see with these night vision goggles? A: Depends on how much light is available. With a full moon, you can see approximately up to a half a mile. In darker conditions, you can expect to see 100-150 yards. Q: Can you see when it is pitch black? A: Yes, but there will be some instances where you will need the IR illuminator to see properly. Q: How loud is the Firefield Tracker 1×24? A: These goggles do not make a sound when in use, they were built to be stealth. Testing this Firefield night vision device was a great experience. The thing we like the most about this unit is how comfortable it is, although one of my friends with a larger sized head said that it felt really snug so this may be something to consider depending on the size of your head. If you found this Firefield Tracker 1×24 Night Vision Goggle Binoculars review helpful, please take a moment to share this review on social media.